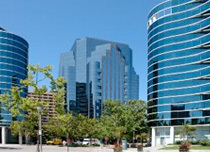 Pacific Horizon Financial Inc. offers private money/ hard money loans to San Diego real estate investor professionals. PHF is San Diego's premiere private money/ hard money lender, primarily because we focus on the character of the borrower, not just their credit and offer bad credit/low credit loans to those that qualify. Fill out this form to receive a free quote with no-obligation and we will contact you shortly. For more than 20 years, PHF has focused on the safety of its Investors Principal. Before and through the great recession of 2008, PHF�s clients have fared among the very best in our industry. In 2011, PHF began offering high yield Equity Investments on distressed assets to our more aggressive Investors.